We received this game for review purposes. As always all opinions are honest and solely those of my own. As JustaBXgirl is getting older she really enjoys bonding with her cousins while playing video games. This ends up being a problem for us at times because they are allowed to play games that she is not allowed to play. Sometimes she can’t even be in the same room while they play certain games because mommy doesn’t approve of the violence or language. When I can find a game that they all want to play together I have to share it with all of you! Hence, this post! 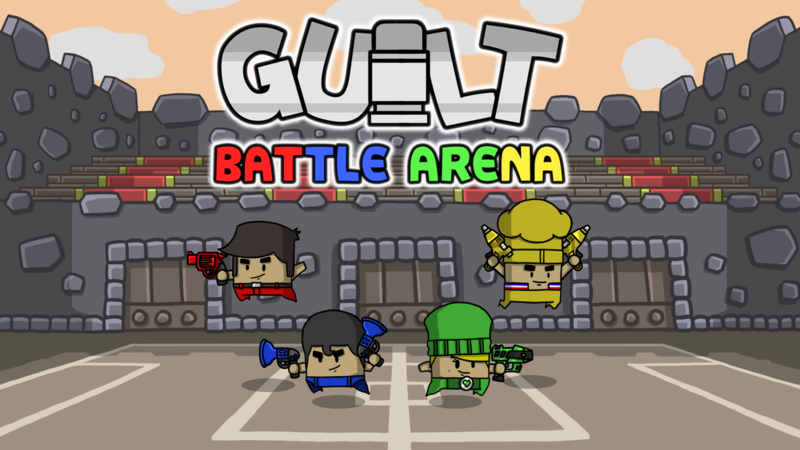 In Guilt Battle Arena players are challenged to use a single bullet to attack opponents. Oh but wait, after firing, players must rebound their bullet before they can fire again. Some of you are probably already familiar with the game so I know what you want to know…what’s new! So much more fun and if you’re a parent like me that tries to stay away from the violence you can rest assured that the visuals in this are not realistically graphic. One more thing that you are going to love is the price! We all know that I am a mom on a mission to reclaim her title of being a discount diva. I’m all about finding amazing items at a bargain. The game is available for $9.99 on Nintendo Switch, PlayStation 4, Xbox One and Steam for PC. But wait, do you know what’s better than that price? I’ll tell you…FREE!!! Yup, I am giving away two codes to the game. One for XBOX ONE and one for PS4. Enter below. Winners will be selected at random on Tuesday, May 1st. Thanks again for your giveaway! Would love a chance to win an Xbox one copy.